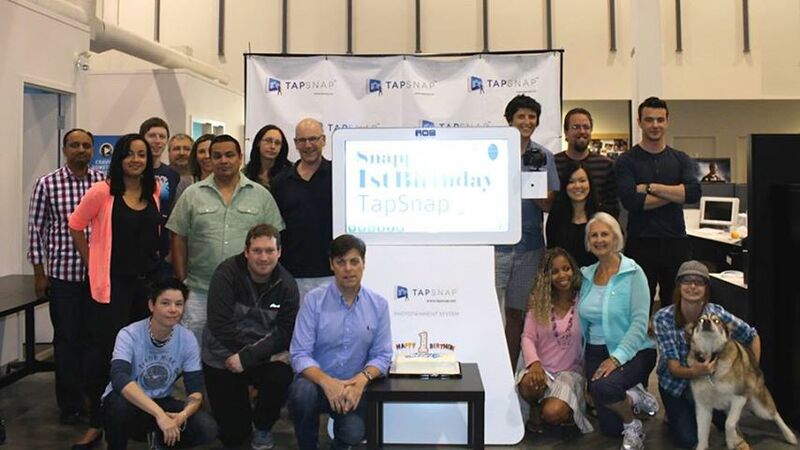 Time flies so fast here, we can hardly believe a year has gone by since TapSnap did its very first test event on July 14, 2012. In just one year, TapSnap has evolved far beyond our initial vision into something much better, thanks to all the feedback we’ve received along the way from you -- our franchisees and clients. And we’re still evolving to create the best possible phototainment system we can. TapSnap has come such a long way from December 2011, when we were testing our first version of Snap software using a camera on a tripod with a Dell computer and 19-inch monitor. Just over half a year later, our first TapSnap prototype arrived, and we loaded up the software. TapSnap was ready. 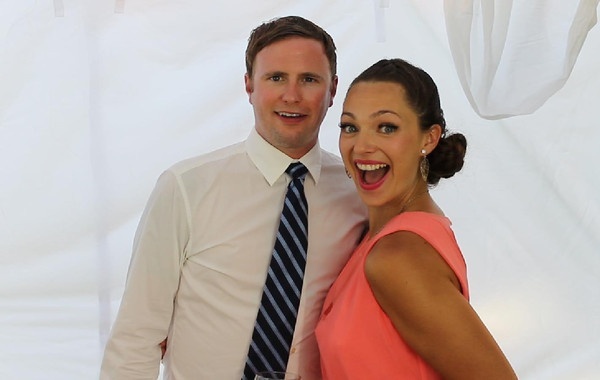 The very first event was a wedding for Matt and Michelle Muselius in North Vancouver, BC. “I always look back on that as a really good moment, the very first time we had the kiosk out in public. A lot of people just loved it and that’s really all we wanted,” says Mark Rudolph, TapSnap’s Director of Product Development. The original one-piece folding design had the screen collapsing into the base stand, but it was too heavy for a single person to wheel into an event. “The first prototype we took the wedding looked really cool but we quickly learned it wasn’t practical,” says Mark. Breaking the machine into two separate parts solved the problem, and by November 2012 we had a second prototype and were testing it at more events. “Being on the inside, you sometimes have tunnel vision because you’ve got a certain concept of what you want this product to do. But once you get it in the hands of people that are really using it and you get the feedback and think, wow, we didn’t think of that,” says Mark. We tried to make TapSnap similar to the experience people have using an iPad or an Android tablet, so they’ll be really comfortable with it. We tried to eliminate those areas of confusion, whether it was making it easier to find the screen keyboard, giving better on-screen instructions -- little, simple things that make a big difference. By January 2013, TapSnap was ready to franchise. “When we got it into the hands of our franchisees we got a whole new kind of feedback about how to make it better and easier to use for them,” says Mark. One franchisee really wanted Instragram as a social media offering on the machine, so that’s coming. We made quite a few refinements to the onscreen keyboard based on their requests. We modified the calendar in Snapbook, our event booking software, so it’s easy to search events. And we’ve changed the package hours to fit more with what they’re doing and selling. There’s a lot of test events, so we created a test event package. We can also thank franchisees for many creative additions to our digital props. The latest version of the software now has green screen technology, as well as several other improvements. A modified prototype of TapSnap is coming, which will include new pieces that can be add-ons to the current model. As TapSnap has evolved, our vision is growing beyond the machine to a true phototainment system. TapSnap is only the beginning. We hope you’ll be there with us every step of the way, with your ideas, enthusiasm and energy. Thank you for bring your best to TapSnap. Oct 2011 – Founder Scott McInnes gives the green light to move forward with a photo booth kiosk. Nov 2011 – The team envisions software and the kiosk design, and selects the Canon Rebel T3 as the camera. Dec 2011 – Software testing begins using a camera on a tripod with a Dell PC and 19-inch monitor. July 2012 – TapSnap’s first prototype arrives and does its first event, with great results. Dec 2012 – The second prototype and our current TapSnap model is ready. Jan 2013 – The first franchisee signs on: Scott Farestrand of Portland. Feb 2013 – We host our first TapSnap University training program and ship the first TapSnap machines to franchisees. July 2013 – One year anniversary of TapSnap. Already over 150 units have been produced.